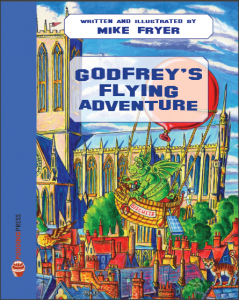 Godfrey’s Flying Adventure is the second title in Mike Fryer’s Godfrey series. Godfrey can’t fly even though he has ‘wings’ so he builds a flying machine. After a bumpy start he and the Pigeon take off for an adventure in the sky and encounter different kinds of weather. 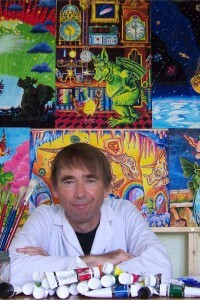 Godfrey and the Stars and Godfrey’s Clever Inventions.